Space Gravity + Quantum Fields = Huge Space Monsters? 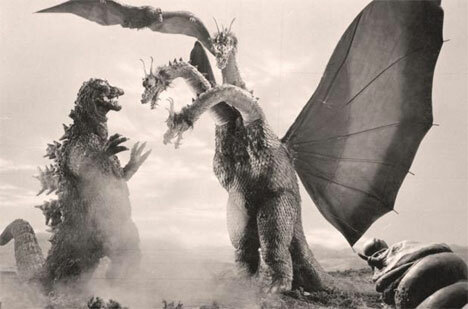 Two researchers at the University of SÃ£o Paulo, Brazil have developed a theory that puts huge quantum “monsters” in space as the result of gravity and fluctuating quantum fields. Daniel Vanzella and William Lima believe that in certain situations, gravity and quantum-level forces may influence the same seemingly empty space to invoke the evolution of large objects such as stars. Quantum phenomena and gravity do not normally affect the same processes because of the vast difference in the scale and nature of their influence, but the researchers believe that in an area of strong gravitational pull, virtual particles could become densely packed. These virtual particles are already though to pop in and out of existence all throughout space, but if they were to amass in a strong gravitational field – such as that of a neutron star – they could quickly become “monsters” much larger and stronger than the original gravity-field source. 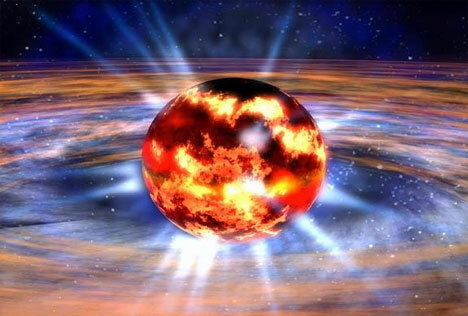 The resulting “monster” could conceivably collapse the nearby neutron star or turn it into a black hole. 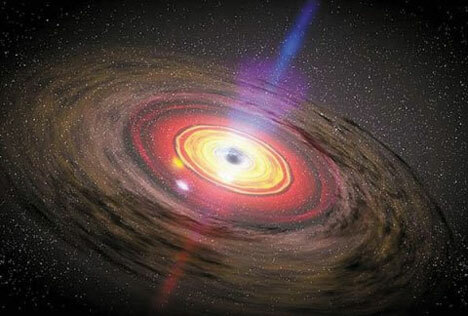 Scientists have not yet discovered a quantum field that would have this kind of effect on astrophysical processes, but the team believe that known fields could be triggered to act on the processes after being triggered by large-scale gravitational effects. The idea is merely the seed of a theory at this point, but it marks one of the few times that scientists have calculated a possible tangible crossover between quantum mechanics and classical physics. See more in Quantum Leaps or under Science. May, 2010.